Trust the experts at LNB to provide a home buying or financing solution that’s right for you. 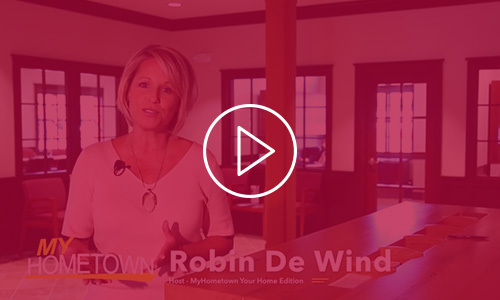 Robin De Wind highlights how LNB’s mortgage team builds relationships beyond numbers. With its local focus, commitment to community and dedication to making its customers’ dreams of home ownership a reality, LNB works one-on-one with customers to help achieve their goals. LNB offers a complete range of mortgage options for financing your primary residence, seasonal second home, or investment property. Choose from traditional residential mortgage loans, construction loans, low down payment options, and more. 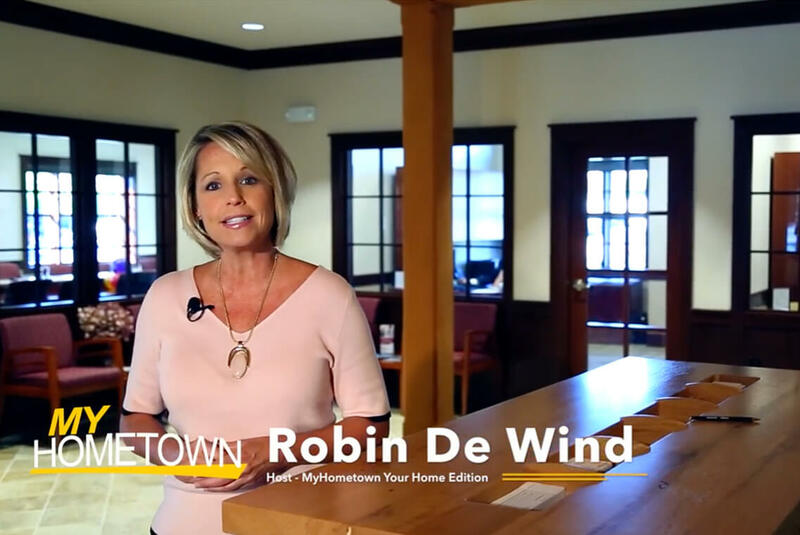 Plus, our hometown touch means you can count on local decisions and servicing so you can enjoy fast turnaround time, and all of your questions will be handled here at home. We offer terms ranging from 10 to 30 years with competitive rates. Monthly payments will stay the same throughout the life of the loan. It’s about helping you enjoy the dream. find your personal mortgage specialist. James Allison has over 20 years of expertise in residential mortgage lending, specializing in purchase and refinance. He has a history of successfully meeting the lending needs of families in our communities. This includes educating first time homebuyers through the steps of owning their first home, assisting with a client’s relocation, or improving ones financial situation through structuring a loan that best meets their needs. 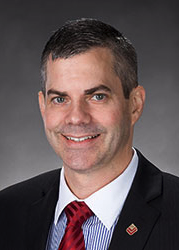 James earned his Bachelor of Arts and Science degree in Business Management from Capital University in Bexley, Ohio, and his background includes a number of years originating nationally for both JP Morgan Chase and Merrill Lynch. He currently resides in Pittsford, and in the summer months, he and his family enjoy spending time at their cabin on White Lake in the Adirondacks. Joe has been a mortgage originator for 15 years with an extensive background in purchase, construction and refinance transactions. Joe enjoys helping clients find not only the lowest rates and fees for their loans, but also help each client make the best decision for their unique situation. Far from "selling" a loan, Joe believes in providing expert advice and solutions. This commitment to his customers led to Joe being selected as the LNB Presidents Choice award winner for outstanding customer service in 2012. Kari DeWick recently joined the Penn Yan office as mortgage originator. 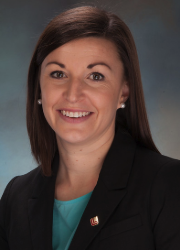 With a strong background in community development having worked most recently as the community development director at the Finger Lakes Economic Development Center, DeWick brings her enthusiasm and knowledge of the area to her new role assisting individuals with their residential mortgage needs. A Penn Yan native, DeWick is active in the Yates community coaching the Penn Yan JV Girls Lacrosse team in addition to being president of the Yates County Women’s Slow Pitch League and Founder/Director of the Yates Area Kickball Association. 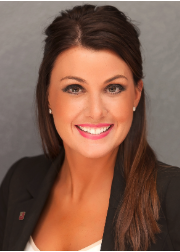 Valorie has over six years of mortgage banking experience. As LNB's Mortgage Specialist based in the Seneca County branch, Valorie will serve customers in the Seneca, Onondaga, Eastern Wayne and Ontario county markets. A past recipient of the Wall Street Journal Award in Finance, Valorie resides in Geneva with her husband Todd. Trisha has been active in the local mortgage industry for over a decade. 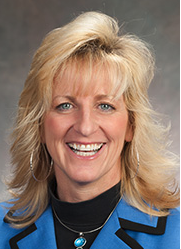 Born and raised in Rochester and an RIT graduate, she has an extensive understanding of the local real estate market. Trisha combines a strong knowledge of available products with a focus on customer service to find the best mortgage solution for her customers. She prides herself on always being available to serve her customers, along with her realtor and builder partners. Her goal is to provide each and every customer with the best possible mortgage experience. Trisha works from LNB's Macedon and Newark offices, and also supports the Monroe County Marketplace. 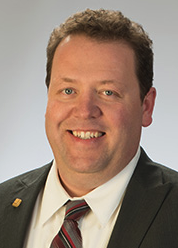 Craig has three years of mortgage experience, having first been an underwriter and now helping customers with their goals of purchasing, refinancing or building a home. With his experience as an underwriter, Craig can look at many different situations and provide expertise as to the best choice among the many that LNB offers from mortgages, fixed rate home equities and lines of credit. Having grown up in Weedsport, the Auburn market is where he feels most at home. Carl Nasello started in banking and finance in the late 1990s and has over 15 years of experience in residential and commercial financing in Monroe, Wayne and the surrounding counties. His broad knowledge of the industry allows him to provide superior customer service and mortgage finance advice. Carl takes pride in, and enjoys, helping his clients make their home ownership dreams come true. Whether you are a first-time home buyer, buying a second home, or an investor, he can guide you along every step of the way. Have questions about getting a new mortgage or regarding your existing one? We’ve got you covered. Please refer to the FAQ's about the mortgage process below! Simply click on one of the topics to view all related information. If you would like to speak with someone directly, please contact your local LNB Mortgage Specialist today. Q: What is the maximum percentage of my home's value that I can borrow? Q: How do I lock in my rate? Please contact your LNB Mortgage Specialist to review today’s rate and discuss locking in your interest rate. Q: What is mortgage insurance and when is it required? First of all, let's make sure that we mean the same thing when we discuss "mortgage insurance." Mortgage insurance should not be confused with mortgage life insurance, which is designed to pay off a mortgage in the event of a borrower's death. Mortgage insurance makes it possible for you to buy a home with less than a 20% down payment by protecting the lender against the additional risk associated with low down payment lending. Low down payment mortgages are becoming more and more popular, and by purchasing mortgage insurance, lenders are comfortable with down payments as low as 5% of the home's value. It also provides you with the ability to buy a more expensive home than might be possible if a 20% down payment were required. The mortgage insurance premium is based on the loan to value ratio, type of loan, amount of coverage required by the lender and your credit history. Usually, the premium is included in your monthly payment and one month of the premium is collected as a required advance at closing. It may be possible to cancel private mortgage insurance at some point, such as when your loan balance is reduced to a certain amount - below 80% of the property value. Recent Federal Legislation requires automatic termination of mortgage insurance for many borrowers when their loan balance has been amortized down to 78% of the original property value. If you have any questions about when your mortgage insurance could be cancelled, please contact your Mortgage Specialist. The purpose of a title insurance company is to make sure your rights and interests to the property are clear, that transfer of title takes place efficiently and correctly, and that your interests as a homebuyer are fully protected. Q: How are closing costs determined? A mortgage often involves many fees, such as the appraisal fee, title charges, attorney fees, and state or local taxes. These fees vary from state to state and also from lender to lender. Any lender or broker should be able to give you an estimate of their fees, but it is more difficult to tell which lenders have done their homework and are providing a complete and accurate estimate. We take quotes very seriously. We've completed the research necessary to make sure that our fee quotes are accurate to the city level - and that is no easy task! Fees that we consider third party fees include the appraisal fee, the credit report fee, the settlement or closing fee, the survey fee, title insurance fees, and flood certification fees. Fees such as origination fees, application fees, document preparation fees, and processing fees are retained by the lender and are used to provide you with the lowest rates possible. You may be asked to prepay some items at closing that will actually be due in the future. One of the more common pre-paid items is called "per diem interest" or "interest due at closing." All of our mortgages have payment due dates of the 1st of the month. If your loan is closed on any day other than the first of the month, you'll pay interest, from the date of closing through the end of the month, at closing. For example, if the loan is closed on June 15, we'll collect interest from June 15 through June 30 at closing. This also means that you won't make your first mortgage payment until August 1. This type of charge should not vary from lender to lender. All lenders will charge you interest beginning on the day the loan funds are disbursed. It is simply a matter of when it will be collected. If an escrow account will be established, you will make an initial deposit into the escrow account at closing so that sufficient funds are available to pay the bills when they become due. If your loan requires mortgage insurance, one month of the mortgage insurance will be collected at closing. Whether or not you must purchase mortgage insurance depends on the size of the down payment you make. If your loan is a purchase, you'll also need to pay for your first year's homeowner's insurance premium prior to closing. We consider this to be a pre-paid item. Q: What is your Rate Lock Policy? The interest rate market is subject to movements without advance notice. Locking in a rate protects you from the time that your lock is confirmed to the day that your lock in period expires. A lock in is an agreement by the borrower and the lender that specifies the number of days for which a loan’s interest rate and points are guaranteed. Regardless of how interest rates move after you've locked in, your interest rate is guaranteed so long as your loan closes within the lock in period. In some cases, your online application will provide all the information needed and you will have the option to lock after loan approval. To discuss your Rate Lock options please contact your LNB Mortgage Specialist or our Mortgage department at: 315-665-0221. We charge a deposit for locking in your interest rate. This deposit is fully refundable so long as your loan closes within the lock period of your agreement. Please contact your LNB Mortgage Specialist or our Mortgage department at 315-665-0221 to review the refundability of your lock in deposit. We currently offer a lock in period of 60 days This means your loan must close within 60 days from the day you lock in your rate. Once you lock in your interest rate, we are not able to renegotiate lock in agreement changes. Q: Are there any prepayment penalties charged for these loan programs? Q: How much money will I save by choosing a 15-year loan rather than a 30-year loan? 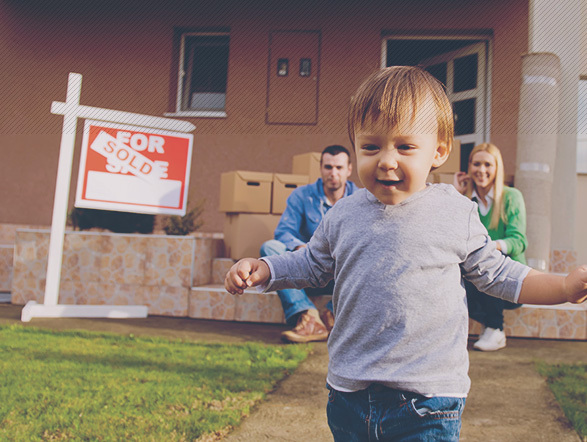 The 15-year fixed rate mortgage is most popular among younger homebuyers with sufficient income to meet the higher monthly payments to pay off the house before their children start college. They own more of their home faster with this kind of mortgage, and can then begin to consider the cost of higher education for their children without having a mortgage payment to make as well. Other homebuyers who are more established in their careers, have higher incomes and whose desire is to own their homes before they retire, may also prefer this mortgage. You save more than half the amount of interest of a 30-year mortgage. Lenders usually offer this mortgage at a slightly lower interest rate than with 30-year loans. It is this lower interest rate added to the shorter loan life that creates real savings for 15-year fixed rate borrowers. Q: How do I know if it's best to lock in my interest rate or to let it float? If you have a hunch that rates are on an upward trend then you'll want to consider locking the rate as soon as you are able. Before you decide to lock, make sure that your loan can close within the lock-in period. It won't do any good to lock your rate if you can't close during the rate lock period. If you're purchasing a home, review your contract for the estimated closing date to help you choose the right rate lock period. If you are refinancing, in most cases, your loan should close within 60 days. However, if you have any secondary financing on the home that won't be paid off, allow some extra time since we'll need to contact that lender to get their permission. If you think rates might drop while your loan is being processed, you can consider taking a risk and letting your rate "float" instead of locking. After you apply, you can discuss locking in your interest rate by contacting your LNB Mortgage Specialist. Q: Should I pay points in exchange for a lower interest rate? Points are considered a form of interest. Each point is equal to one percent of the loan amount. You pay them at your loan closing in exchange for a lower interest rate over the life of your loan. This means more money will be required at closing, however, you will have lower monthly payments over the term of your loan. Q: Is comparing APRs the best way to decide which lender has the lowest rates and fees? Q: How are interest rates determined? Q: What, exactly, is an installment debt? Q: How will a past bankruptcy or foreclosure affect my ability to obtain a new mortgage? If you've had a bankruptcy or foreclosure in the past, it may affect your ability to qualify for a new mortgage. We will generally require that at least five years have passed since the bankruptcy or foreclosure. It is also important that you've re-established an acceptable credit history with new loans or credit cards. Q: I have student loans that aren't in repayment yet. Should I show them as installment debts? All student loans should be included in the application. If you are not sure exactly what the monthly payment will be at this time, enter an estimated amount. If a student loan is not yet in repayment, we may need you to provide supporting documents for that loan to confirm what the anticipated monthly payment will be. This could include copies of the original student loan paperwork or a letter directly from the creditor. Q: I've co-signed a loan for another person. Should I include that debt here? Generally, a co-signed debt is considered when determining your qualifications for a mortgage. If the co-signed debt doesn't affect your ability to obtain a new mortgage we'll leave it at that. However, if it does make a difference, we can ignore the monthly payment of the co-signed debt if you can provide verification that the other person responsible for the debt has made the required payments by obtaining copies of their cancelled checks for the last twelve months. Q: I am relocating because I have accepted a new job that I haven't started yet. How should I complete the application? Q: I am selling my current home to purchase this home. What type of documentation will be required? Q: I'm getting a gift from someone else. Is this an acceptable source of my down payment? Q: If my property's appraised value is more than the purchase price can I use the difference towards my down payment? Q: I was in school before obtaining my current job. How do I complete the application? Q: I've had a few employers in the last few years. Will that affect my ability to get a new mortgage? Q: Will my second job income be considered? Q: Do I have to provide information about my child support, alimony or separate maintenance income? Q: I have income from dividends and/or interest. What documents will I need to provide? Q: How will rental income be verified? Q: If I have income that's not reported on my tax return, can it be considered? Only income that is reported on your tax return can be considered when applying for a mortgage. Unless, of course, the income is legally tax-free and isn't required to be reported. Q: I am retired and my income is from pension or social security. What will I need to provide? We will ask for copies of your recent pension statements and/or most recent Social Security Award Letter. In addition, tax returns for the most recent year will also be required. Q: Will my overtime, commission, or bonus income be considered when evaluating my application? Q: I'm self-employed. How will you verify my income? Q: Can I really borrow funds to use towards my down payment? Q: Are we right for you? Q: Will the inquiry about my credit affect my credit score? Q: What is a credit score and how will my credit score affect my application? Q: Can I apply for a loan before I find a home to purchase? Yes, applying for a mortgage loan before you find a home may be the best thing you could do! If you apply for your mortgage now, we can issue an approval subject to you finding the perfect home. You can use the pre-approval letter to assure real estate agents and sellers that you are a qualified buyer. Having a pre-approval for a mortgage may give more weight to any purchase offer that you make. When you find the perfect home, you'll simply call your Mortgage Specialist to complete your application. You'll have an opportunity to lock in our great rates and fees then and we'll complete the processing of your request. Q: How do I lock-in my rate? Q: Does Lyons National Bank provide financing for manufactured homes? Q: How long does it take for the property appraisal to be completed? Licensed appraisers who are familiar with home values in your area perform appraisals. We order the appraisal as soon as the application fee is paid. Generally, it takes 10-14 days before the written report is sent to us. We follow up with the appraiser to insure that it is completed as soon as possible. If you are refinancing, and an interior inspection of the home is necessary, the appraiser should contact you to schedule a viewing appointment. If you don't hear from the appraiser within seven days of the order date, please inform your Mortgage Specialist. If you are purchasing a new home, the appraiser will contact the real estate agent, if you are using one, or the seller to schedule an appointment to view the home. We will promptly give you a copy of any appraisal, even if your loan does not close. Q: I've heard that some lenders require flood insurance on properties. Will you? Q: I'm purchasing a home, do I need a home inspection AND an appraisal? Q: Are there any special requirements for condominiums? Q: Will I get a copy of the appraisal? Q: What types of things will an underwriter look for when they review the appraisal? The appraiser will create a written report for us and you'll be given a copy at your loan closing. If you'd like to review it earlier, your Mortgage Specialist would be happy to provide it to you. The appraiser will need to inspect both the interior and exterior of the home. After the appraiser inspects the property, they will compare the qualities of your home with other homes that have sold recently in the same neighborhood. These homes are called "comparables" and play a significant role in the appraisal process. Using industry guidelines, the appraiser will try to weigh the major components of these properties (i.e., design, square footage, number of rooms, lot size, age, etc.) to the components of your home to come up with an estimated value of your home. The appraiser adjusts the price of each comparable sale (up or down) depending on how it compares (better or worse) with your property. Q: Where will my loan closing take place? Your closing will occur at your local LNB branch office. Q: Can I make my monthly payments with an automated debit from my checking account? Q: I won't be able to attend the closing. What other options are there? If you won't be able to attend the loan closing, contact your Mortgage Specialist to discuss other options. If someone you trust is able to attend on your behalf, you can execute a Power of Attorney so that this person can sign documents on your behalf. In other cases, we're able to mail you the documents in advance so that you can sign them and forward them to the closing agent. We're sure to have a solution that will work in your circumstances. Q: Who will be at the closing? The closing attorney acts as our agent and will represent us at the closing. However, your LNB Mortgage Specialist will contact you prior to closing to talk about your final documents and to provide a final breakdown of your closing fees. If you have any questions that the closing agent can't answer during the closing, ask them to contact your Mortgage Specialist by phone and we'll get you the answers you need - before the closing is over! Q: Can I get advanced copies of the documents I will be signing at closing? The most important documents you will sign at closing are the note and mortgage, sometimes called the deed of trust. Unless there are special circumstances, these documents are usually prepared one to two days before your closing. Other documents are prepared by the closing agent the day before or the day of your closing. If you would like copies of the completed documents to be sent to you after they are prepared, please contact your LNB Mortgage Specialist. Q: Will I need to have an attorney represent me at closing? In our area it is customary to have an attorney represent you at the closing. By all means, we recommend that you have an attorney at the closing if it would make you more comfortable. If your attorney has any questions about your new mortgage, please refer them to your LNB Mortgage Specialist. We'd be happy to provide any information necessary, with your approval. Q: What happens at the loan closing? The closing will take place at your local LNB office. If you are purchasing a new home, the seller may also be at the closing to transfer ownership to you. During the closing you will be reviewing and signing several loan papers. The closing agent or attorney conducting the closing should be able to answer any questions you have or you can feel free to contact your Mortgage Specialist if you prefer. Just to make sure there are no surprises at closing, your Mortgage Specialist will contact you a few days before closing to review your final fees, loan amount, first payment date, etc.